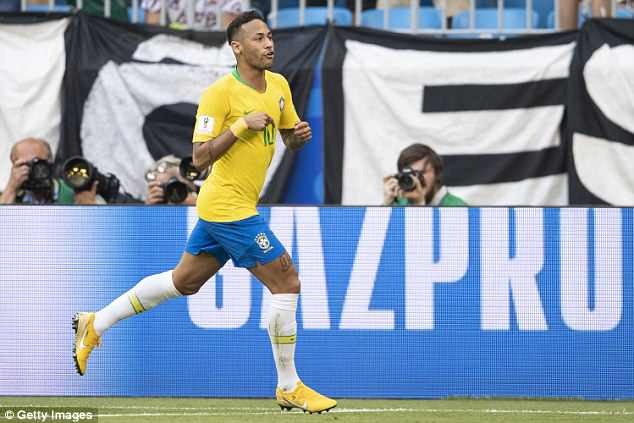 Thomas Meunier has conceded that 'he doesn’t know how to stop' Paris Saint-Germain team-mate and Brazil's Neymar. 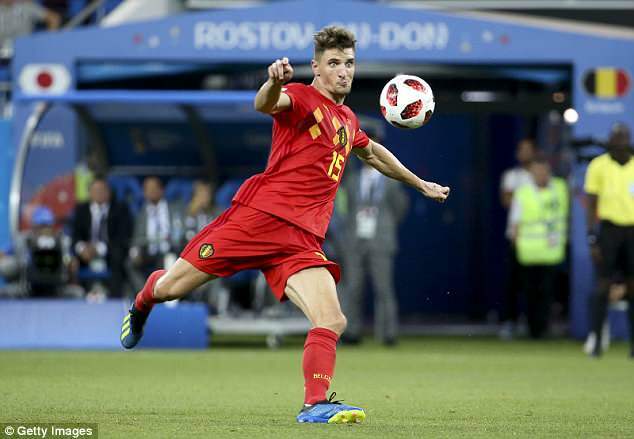 Belgium face Brazil in the World Cup quarter-finals on Friday night in Kazan after the former secured a dramatic 3-2 victory over Japan on Monday. 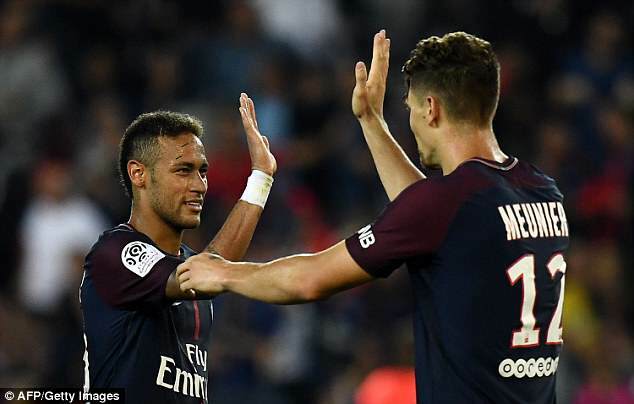 Meunier will be tasked with stopping his club team-mate Neymar, who has scored two goals and provided one assist in the competition so far. 'I do not know how to stop him. He is very unpredictable,' he told Globo Esporte. 'Neymar is probably the best player I've ever played with or against. Tite's Brazil are favourites to lift the trophy in 12 days' time and Meunier understands the challenge facing Belgium. 'They have many qualities,' he said. 'It's complicated. We're facing the best team in the world. 'We have a chance, but it will be quite complicated. 'I expect a difficult game. We are not favourites to the World Cup. To beat Brazil, you have to be 100 per cent, 120 per cent of your mental and physical capacity.